Small, dark red-brown dove, recalling Collared in proportions but plumage closer to Turtle; smaller than both. 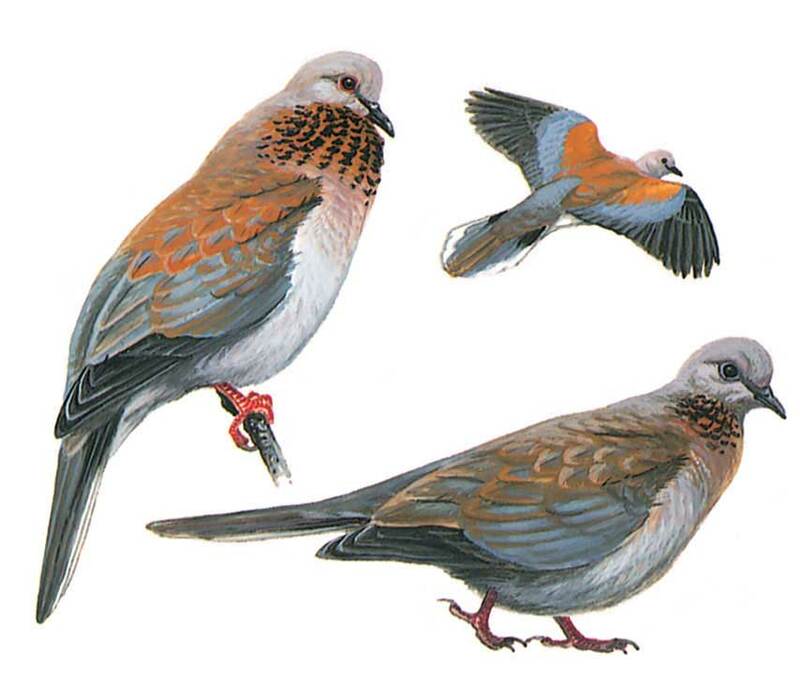 Black-spotted patch on fore-neck and upper breast, unspotted red-brown upperparts with large, dull blue-grey area in outer-coverts distinguish it. Uppertail less contrasting than in Turtle. Juvenile lacks patch on fore-neck and is less richly coloured. Flight closer to Collared’s than to Turtle’s but even slower and more laboured; flight not so twisting and without jerky wing-beats; the short rounded wings and long tail always helps identification. Gregarious.